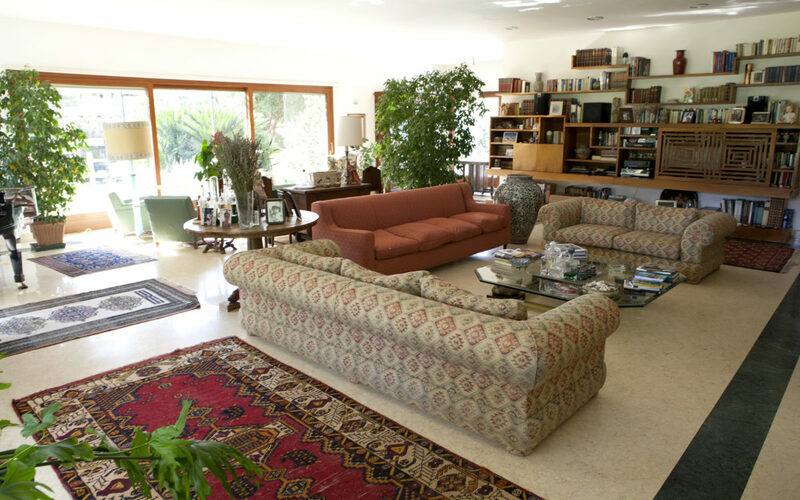 The interiors are elegantly furnished to ensure guests a pleasant and relaxing environment. The wide open spaces provide the relaxing atmosphere necessary to better enjoy their moment of serenity while being near the center. The scents that come from large camphor, from lime and by the many plants that color the garden. convey the feeling of being in a small corner of paradise. The perfect place to unwind being in contact with nature. 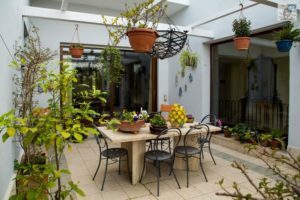 The 5 rooms at La Canfora are located in a large house on 3 levels surrounded by gardens and an organic and biodynamic garden . 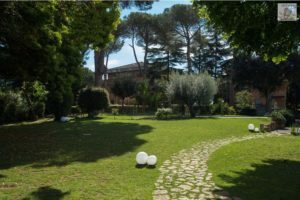 The property is situated on a hill overlooking the dell’Insugherata Nature Reserve, a large park of about 740 hectares of huge natural value with 630 plant species and numerous animal species including foxes, boars and badgers. 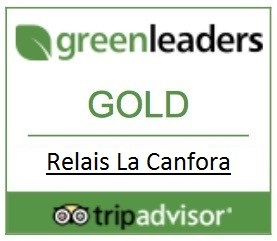 Relais La Canfora has gained recognition ECOLEADER GOLD. It produces most of its energy thanks to solar panels installed on the roof. The entire inner area is non-smoking. A key role is played by our special friends: the animals that animate the life of our garden. 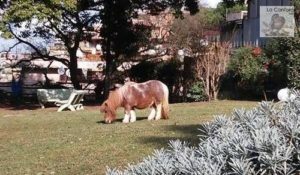 The cute pony Bea, the three sociable and well behaved dogs, the chickens that sometimes you can meet in the house and 4 ducks living around the pond along with the turtles. All our animals live in perfect harmony and in harmony with every guest that comes to visit. For animal lovers will experience totally enjoyable.